With newly elected officials now sworn in, representatives from Captains for Clean Water, the Conservancy of SWFL, the Sanibel Captiva Conservation Foundation (SCCF), the Center for Biological Diversity, Everglades Wetlands Research Park and Calusa Waterkeeper assemble for a summit to lay out actionable policy intended to cure the ills besetting our waterways. Florida is suffering from a wholesale water quality crisis. Floridians have witnessed historic marine mortality events; citizens are suffering respiratory illness; businesses have lost revenue; some have shuttered; summer employees found themselves on breadlines for the first time; housing values have declined; it is dangerous to swim or fish in our waterways; our very way of life is at risk. There are promising indications coming from the Governor’s office, but the public still suffers from a lack of information on the causes of and cures for Florida’s water quality problems. 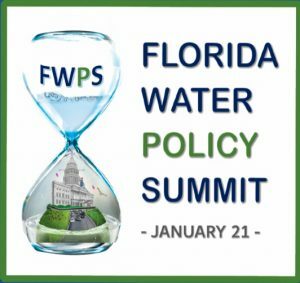 On Monday January 21, our panel of experts will deliver actionable policy aimed directly at newly elected officials, before taking questions from the audience addressing the community’s clean water concerns. As the forum takes place the day we celebrate the legacy of Martin Luther King, Jr., organizers will weave a social justice narrative into the evening: Clean water is a basic buman right. The format for the evening allots each speaker ten minutes to address their particular issue. Then, organizers will open the floor for approximately one hour of questions from the audience.